Hyundai Heavy Industries Co., the world's largest shipbuilder by sales, said Monday that it has received a cyber security certificate from the American Bureau of Shipping for an oil carrier. 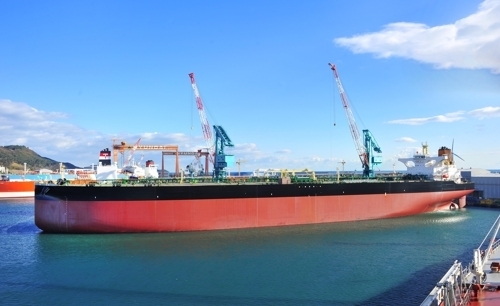 It marked the first time in the world that Hyundai Heavy received the Cyber Security Ready for a very large crude carrier. Paul R. Walters, director of the Global ABS CyberSafety program, said this Cyber Security Ready model is a powerful tool for protecting marine assets from various threats. "As a global leader in marine cyber security, ABS is pleased to be working with HHI to ensure the next generation of vessels is better equipped to address the increased level of cyber risk they will certainly face," Walters said in comments provided by Hyundai Heavy. The shipbuilder said it is set to deliver the vessel to an unidentified European shipping company later this month.